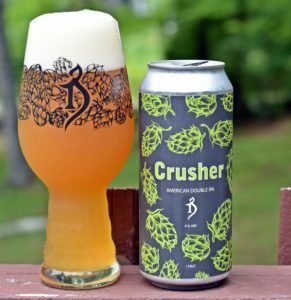 With the new brewery open in Stowe they have brought back The Crusher on a more regular basis. Since opening it has been available each day with a limit of 2 – four packs per person. Love this beer and so glad to be able to get it on a regular basis now. Be sure to check out The Alchemist in Stowe soon. I didn’t discover The Alchemist until after the flood so the only beers I had tried were Heady Topper and their gluten free beer, Celia. Last December when I went to Vermont for three days with my wife I tried Ouroboros at The Reservoir which was great. Then they started their truck sales occasionally releasing beers in plain cans with stickers to identify the beer. I didn’t make it out to Vermont for the sale but I was able to score a can of each. 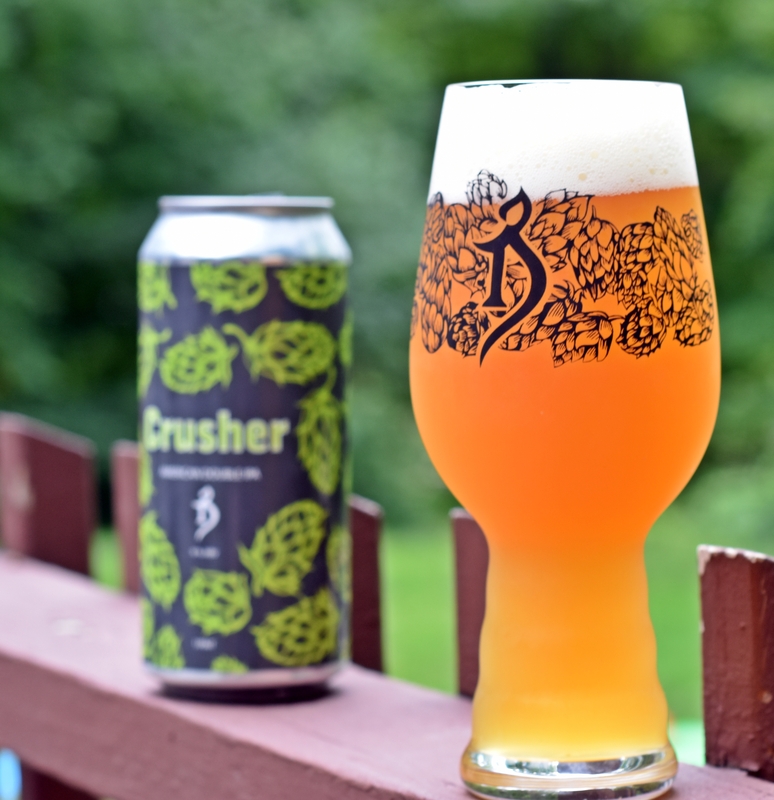 Crusher is an even bigger DIPA than Heady with an ABV of 9.6% versus Heady at 8.0%. This beer has the radiant orange glow that I enjoy so much, unfiltered and a great white head. Tons of hops in the aroma with tropical, citrus, grapefruit; again all the things I like in my DIPAs. Taste is excellent with loads and loads of hops; citrus, tropical, grapefruit. A fair amount of bitterness but the alcohol is non-existent which is surprising for a such a big DIPA. 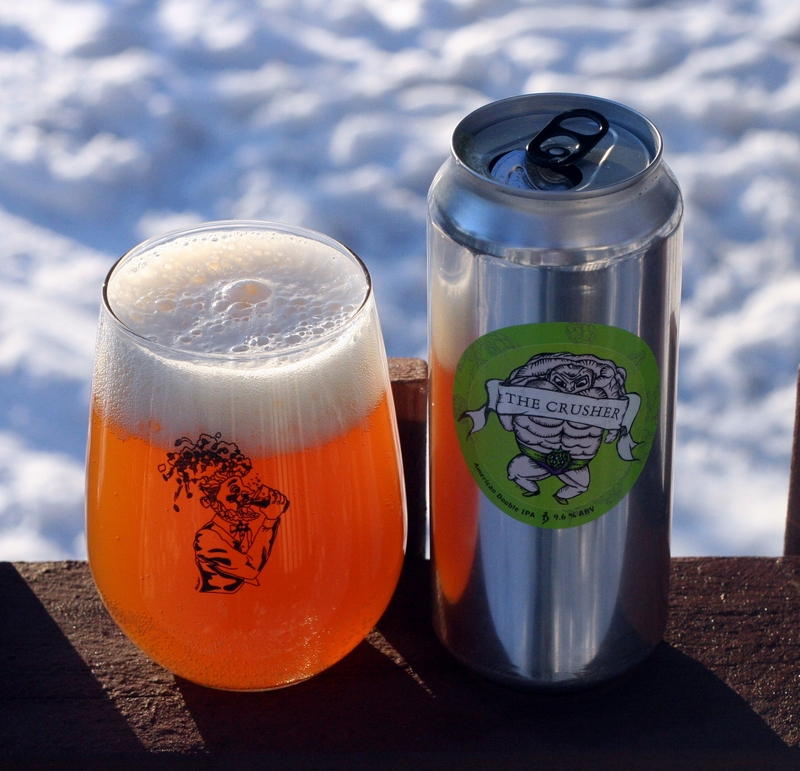 It was probably a good thing I only had a single can of this beer as I certainly would have finished a second and that probably would have been too much for one night. 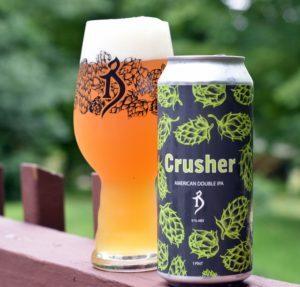 Brewers Description: The Crusher is an American Double IPA that I started making years ago at the old pub. Hop heads were constantly asking for more hops. So, in the words of Frank Zappa, “Did you say you want some more? Well here’s some more.” While I enjoy hops with the rest of them, I still try to maintain some semblance of balance and drinkability. This beer is oozing with hop flavor and aroma with a very dry finish. Enjoy responsibly, this one can sneak up on you.